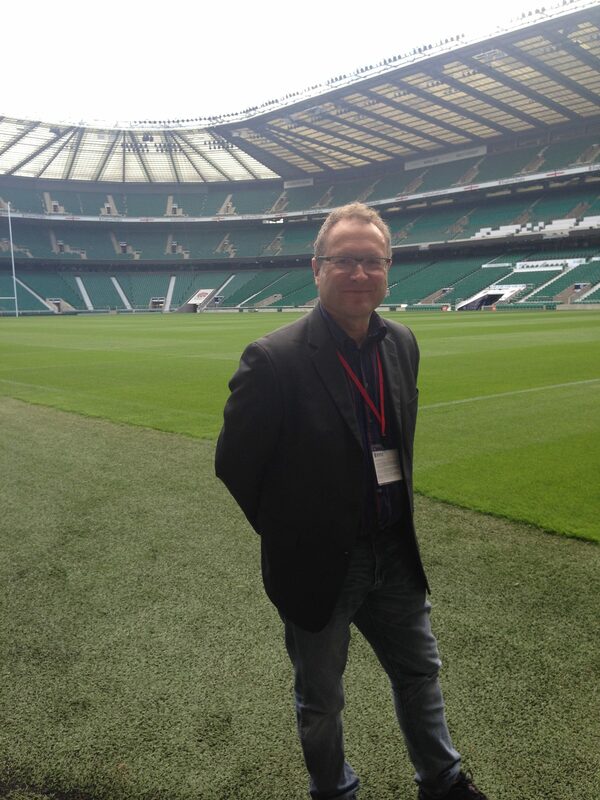 Adrian at Twickenham Stadium ahead of the start of the 2015 Rugby World Cup. Adrian Warner can draw on more than 30 years of writing and broadcasting experience to create imaginative content for your organisation — in written, digital and audio-visual formats. 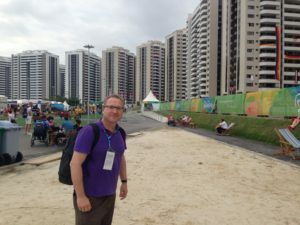 In sport he brings expertise of reporting from 8 summer Olympics, 6 Winter Games, and 5 World Cup finals when he has covered every major sport — from athletics, swimming, soccer and rugby to skiing, ice hockey and table tennis. But he has also reported on a wide range of news stories — from bombs and political summits to music and culture — and is able to make complex issues easy for a reader or viewer to understand. In 2017 he worked on the news services at the world athletics and para athletics championships in London, providing content for official websites and employed by the highly-regarded Pearce International media services company. He also worked with Pearce at the 2018 World Indoor Athletics Championships in Birmingham and the 2019 European indoor athletics championships in Glasgow. He has played similar roles for the official news services of the 2015 Rugby World Cup in England, providing reports and analysis for the World Rugby website and for the 2016 Rio Olympics and Paralympics, covering athletics and rugby sevens. He has also worked for the International Olympic Committee (IOC) at the 2016 Youth Winter Olympics in Norway, providing content for the official Games website. He has an eclectic range of clients — for both writing and sub-editing — from Reuters news agency and the Canadian Press to Families Magazine, the Daily Telegraph website and the Around the Rings specialist Olympic website. During 2015 he was also involved in a major copywriting project for the University of East London involving a wide range of subjects. During the 2018 football World Cup, he ran a global chatroom for clients of Thomson Reuters. Adrian at the athletes’ village in Rio where he interviewed competitors at the 2016 Olympics and Paralympics. Adrian first went to Fleet Street in 1986 and began his writing career at Reuters. He was posted to Germany in 1988 where he was one of two specialist sports correspondents based in mainland Europe, covering a wide range of sports as well as the business and politics of sport. He also covered general news events such as the fall of the Berlin Wall during nine years based in Germany. In 1996 he was appointed International Olympic Committee correspondent, reporting from key meetings around the world. After returning to London in 1997, he ran Reuters coverage of rugby worldwide as well as working as a chief sub-editor on the London global editing desk. In 2002 he joined London’s Evening Standard newspaper as sports news correspondent. In 2006 he was voted Sports News Reporter of the Year by the UK’s Sports Journalists’ Association (SJA) for exclusive stories about EU policy on football and football agents. Adrian was the paper’s leading writer on London’s successful Olympic bid, about which he co-wrote a book with former BBC Sports Editor David Bond and public relations expert Mike Lee of Vero Communications (below). 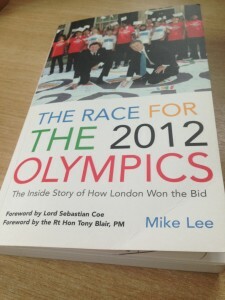 Lee says: “Adrian has a real passion for Olympic sport and worked so hard to help me capture the amazing story of this particular Olympic race.” (The Race for the 2012 Olympics, published by Virgin Books).